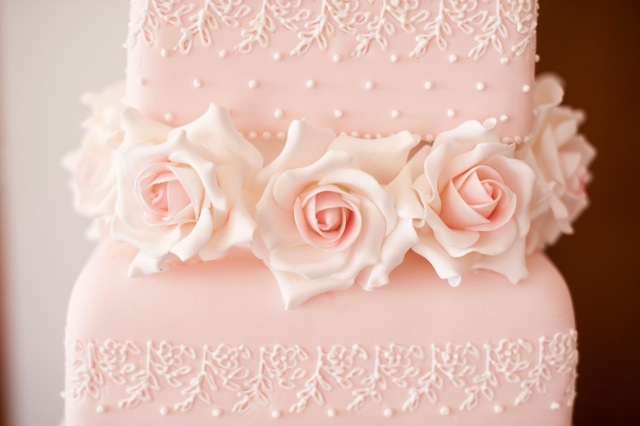 Three Tier Wedding Cake photographed at Pelham House, Lewes, East Sussex, by Sarah Wenban Photography. 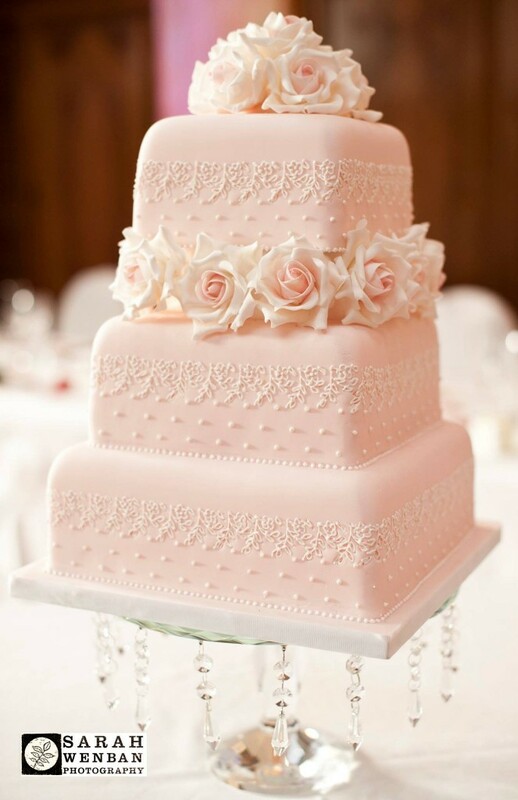 Square cake in pale rose pink base, with sugar roses, hand piped lace work and piped dot design. Cake serves 200 finger portions.